The new PRofec is compact, powerful and easy to use. The large OLED Display, with the simple two-button / rotary-dial control, made for intuitive operation. 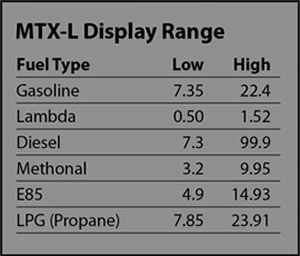 An ultra slim controller can display in digital, bar-graph, or graphical modes and can be rotated 180 degree for installation with the included adjustable mount or flush mounted. By separating the display and control unit in the driver’s compartment, from the engine compartment-mounted, waterproof, sensor unit, it makes installation straightforward. Only one thin harness is required to be routed through the firewall. The combination of the new 300kPa (43.5psi) integrated pressure sensor, the more compact solenoid valve and faster ECU processer, provide quicker response and the most stable boost curves yet. The PRofec also maintains popular features like, Lo, Hi, Scramble boost presets, last-boost display, peak-hold recall, warning alert and safety limiter. The next evolution of the GReddy PRofec line of electronic boost controllers is here! Built in 4-bar MAP sensor to replace the factory 2.5 bar sensor. 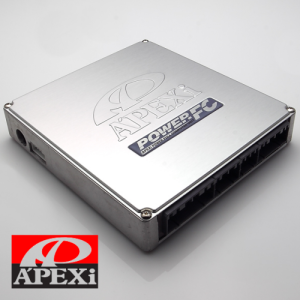 The Power FC proudly stands as Apexi's answer to the constraints and limitations associated with most piggy-back style fuel controllers. The Power FC is a complete, stand alone, total engine management system capable of handling virtually anything thrown in its path. From multiple point fuel and ignition control to boost settings, the Power FC is capable of accommodating even the most demanding performance enthusiasts. The Power FC replaces the factory ECU and controls all vital engine parameters (Off road use only, no OBD-II). Installation is as easy as replacing the factory ECU. The factory engine harness does not need to be replaced and all critical accessories such as air conditioning continue to function. By using the optional FC COMMANDER, the user can adjust and modify a wide range of settings. Since there is no need to upgrade ROM chips or modify ECU's, the factory ECU can be kept by the original user. The Power FC also comes pre-programmed with several base maps. (Currently with Japan Domestic Market Vehicle Maps. Minor initial tuning may be required. This makes the initial tuning process much quicker. 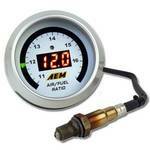 As with all other fuel controllers, the POWER FC should be tuned on a dynomometer by a trained professional. 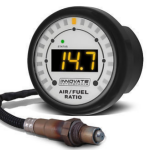 A high grade air/ fuel ratio monitor is also recommended during tuning to ensure best results. Select your required application along with Delivery or collection options from the drop down menu. Please allow 4-6 weeks for delivery of this part due to it being special order only. 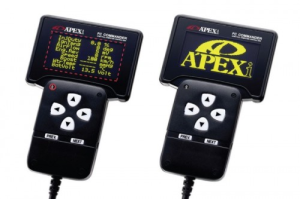 Power FC Commander (handheld unit) compatible with the A'pexi Power FC. The FC COMMANDER is a hand held controller designed to allow access to the vital parameters within the Power FC. 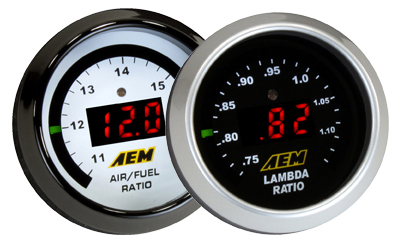 The unit allows a wide range of data modification through its large back lit LCD display. The unit has been designed so that one finger can control a wide array of data. Once connected, the Apex logo will appear in the screen taking the user to the Main Menu. From here, the user can access the three Main Menus (Monitor, Setting, Etc.) The FC COMMANDER "communicates" with the Power FC control unit thereby creating one of the first interactive user friendly fuel management systems. The Power-FC is Apex's solution to all of your tuning needs and stands as the flagship tuning device in the APEXi lineup of electronics. Depending on your needs you can order anything from replacement sensors and harnesses, or components such as the FC Commander, FC Commander Software, and Boost Control Kit to further complement your Power FC needs. 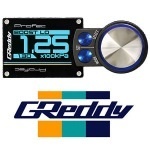 Expand your GReddy Profec OLED Boost Controller to do so much more. 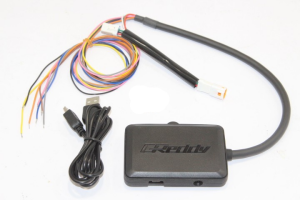 The GReddy Profec MAP connects to the current GReddy Profec OLED Boost Controller and, through boost maps, provides even finer control over your vehicle’s boost pressure. Boost correction is not the only added function in the addition of the Profec MAP! The following features have been added:All parameter settings can be set by PC via USB cable (sold separately), Display Gear Position, Speed, RPM, Engine Temp, Throttle Position, Backlight dimming and scramble boost switching functions. Expand your boost control with additional features using the new Greddy Profec MAP! 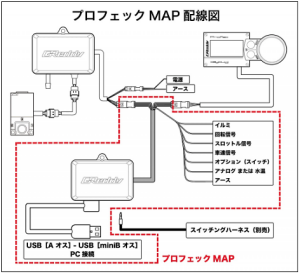 For use with Greddy Profec (P/N 15500214) This new MAP easily plugs in between the Profect Display/Control unit and Profec main unit, with some additional connections depending on application. Boost Correction by RPM, Throttle Position, Speed, Gear Position, or Water Temp Example: Boost can be lowered if the car is not within the desired operating temperature. Using the Gear Position feature, boost can bet adjusted individually for each gear and engine speed. Addtional Profec monitoring and data loging via PC software. Please Allow up to 28 working days for delivery as these are special ordered from Adaptronic Australia. Please note that this ECU will work with Some S7 FD's depending on the ECU connector style, if your not sure please send us a picture so we can help identify your specific requirements.